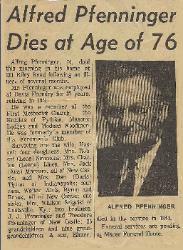 Wedding Anniversary , and obituaries for both Alfred and Hassel. with a family dinner Sunday. Barbara and Judy Tipton; Candice, Linda, Susan and Jackie Marcum and James Alan Lines. 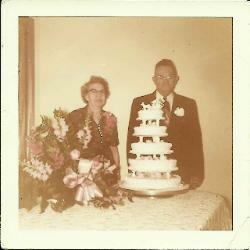 I’d loved to have heard those wedding bells . . .
And it still is standing here today. Fifty years of married bliss . . .
Now what do you have to show for this? A lad we all called Elmer Maurice. In the war we lost him err the story’s told. Now a loving, happy-go-lucky man to see. Her Daddy’s joy and a copy cat. But sadness ere she spoke that day. Damn trackers he could eat aplenty. In the garage several old cars are his. He’s known for all of his good deeds. We almost lost her one Christmas Day. Since she took up a curl and a pin. We’ll never know why he grew so tall. When remodeling a wreck to changing a tire. A pleasure and a joy to see. Her career was changed to worlds untold. With motherhood and three tots to hold. Of love and kindness from within. With gather in her half a dozen. We all love and miss him very much. Walter showered us with Betsy and Bill. We love them and we always will. All appear from Lena’s roof. He’s a mighty fine grown boy. Are Barney’s brood we all like. The family’s so glad when you are here. Keep Grandma and grandpa busy for hours. With Tony and Jeff, alas, a lack. And Frank and Wanda think she is the mightiest. Now how is that for a nice round score? But . . . is there more? The great grandchildren no links to mend. And another one due ere this chapter ends. Riley Road following an illness of several months. Woodsmen. 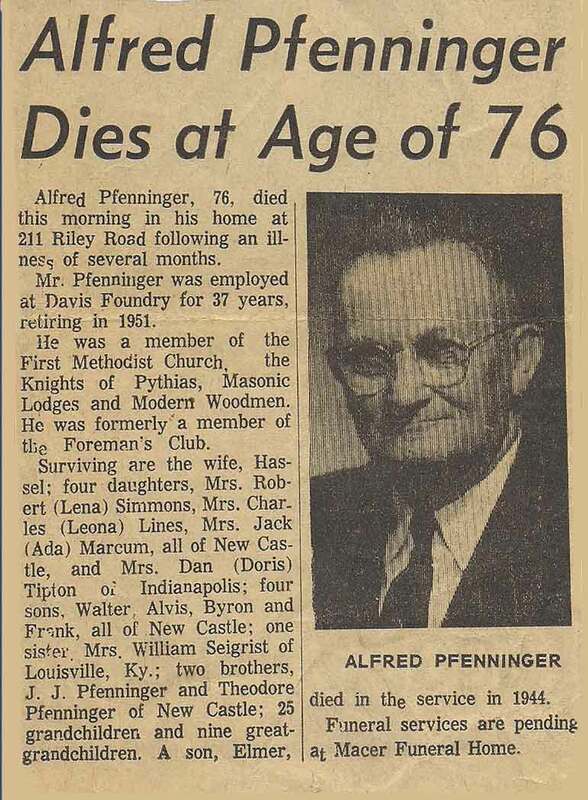 He was formerly a member of the Foreman’s Club. son, Elmer, died in the service in 1944. Funeral services are pending at Macer Funeral Home. separateness’ than most. It is Life, not death that has kept this family together. grandchildren and great great grandchildren. kinship, whether by marriage or by blood, and sometimes by neither, by friendship alone. persons living who graduated from our high school. The Pfenninger family won hands down. She always leaned to watch for us, anxious if we were late. In Winter by the window, in Summer by the gate. And though we mocked her tenderly, who had such foolish care. The long way home would seem more safe, because she waited there. Her thoughts were all so full of us, she should never forget. And so I think that where she is, she must be watching yet. Watching from Heaven’s window, leaning from Heaven’s gate. she knew what it meant to live by sharing her love and concern for so many. was her family, there was the love she knew in the Lord, that was just as real. about to speak their name to God in prayer. But with a touch divine you lived them in your home. But with a nobler vision you lived them in your heart. But with a finer sculpture, you shaped this soul of mine. But with a grace exquisite, your life Cathedraled God.